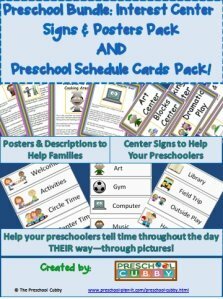 5 Tips for Communicating With Preschool Boards | Preschool Plan It. 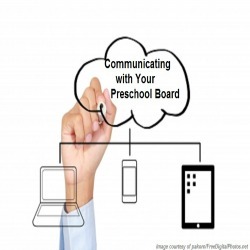 Communicating with Preschool Boards requires regular and effective communication. 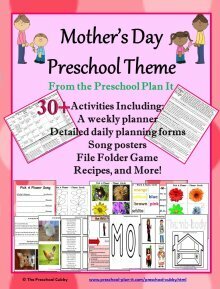 This requires intentional planning on your part as the Preschool Director. Here are 5 Tips on how to do that! 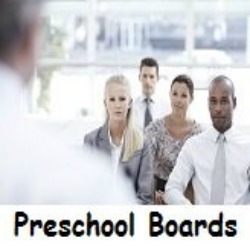 Remember that a Preschool Board is made up of many individuals. They are not just "the Board". You need to know who each member is, why they are on the board and what they bring to this collective group. 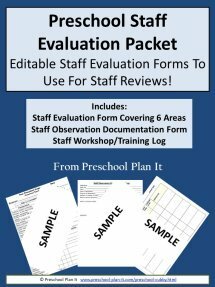 If you have not done this already, take some time to assess your preschool board. What is each person's background? Why are they on the board? 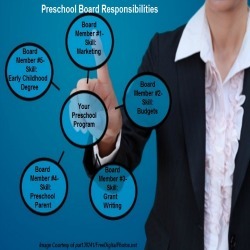 What skills, passions and/or work experience to they bring to this collective group that can help you meet the mission of your preschool program? Some people LOVE Facebook, some do not. Some people check their email accounts daily, some monthly. Some prefer old-fashioned phone calls! 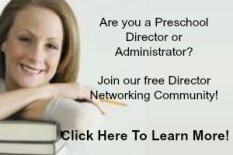 Communicating with preschool boards begins with getting to know the members of your board with a personal telephone call. Just say hi! Thank them for being on the board. 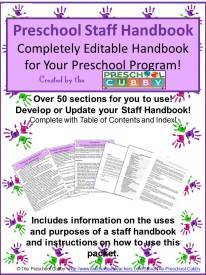 Ask how they would like to receive information from you regarding your preschool program. 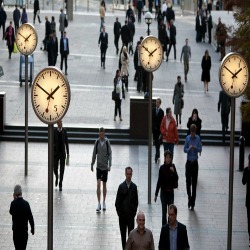 Would they prefer a telephone call, email, text or private Facebook message? Keep notes of what they tell you and then use that information to keep them current! Now that you know how each member likes to be reached, reach out to them! Communicating with Preschool Boards is successful when you use their preferred vehicle of communication. 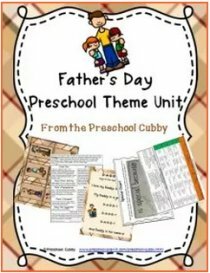 Send them a quick, anecdotal preschool conversation (especially if it has to do with that member's area of interest in the preschool!) or question! "Hi Cheryl! I had to share this with you! In the preschool today, we asked the children what they would want for the classroom if they had a million dollars. One of the children said, 'Ooooh! Could we have a pet dinosaur?' I was wondering if you think there might be extra room in the building to store our new classroom pet?! ;) I hope all is well with you! 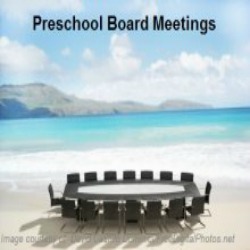 See you at the preschool board meeting on August 12th!" Or, you could send the message to the person who handles your preschool budget asking if they think there is money in the budget for a pet dinosaur! Sound silly? Of course it is! Should you do it? Of course you should! This is a great way to keep them involved in the program in a very real and fun way! Include each member in the information gathering stages of additions or changes you'd like to make in your program. Will your playground need additional mulch this year because it is settling? This is a budget expense we often forget about. Most states have a specific thickness of mulch or ground covering. Contact the person on your board who might know of where you can begin to gather prices for mulch? Do they know someone locally who provides this? Will you be placing a large supply order next month (paint, paper, glue, etc.?). Send a courtesy email, note or place a call to let the person who handles the preschool finances know in advance. Let them know the approximate amount you think the order will be for, just as a heads up for them. Would you like to add a half-hour to your program time? Would you like to add a teacher's aide to your staff? Run these things by the appropriate (or all) of the members BEFORE the next meeting! The board should know of major changes in advance. None of us likes to be hit with "Oh, by the way, we have this problem..." or "We'd like to add......" at preschool board meetings. Give them time to process the suggestions or request and to give you feedback prior to the meeting. Knowing your board members individually and knowing how they like to be contacted is important! You should try to connect with them in 3 different ways each month! An email, call or message once a month just to say hi OR to ask for input. Mail them a copy of your monthly newsletter with a personal note printing on it. A group email to the board as a reminder of a meeting and to share a cute/fun preschool story. Communicating with your preschool board is key. They are (or should be) a major support network for your program. Take the steps you need to have an ongoing relationship with each member! 8 Steps to Great Board Meetings!